The Beauty of Life: How Many Shoes Are Too Many? Giving You a Peek into My Shoe Drawer. How Many Shoes Are Too Many? Giving You a Peek into My Shoe Drawer. 1) You never know which shoes you'll feel like wearing, so it's nice to have a stash. 2) I'm too lazy to carry them home at the end of the day. In any case, I've amassed quite a shoe drawer. At the moment, it includes shoes from Manolo Blahnik, Dolce & Gabbana, Miu Miu, Nine West and Ralph Lauren. Who's to say what else might find its way into the drawer in the near future? 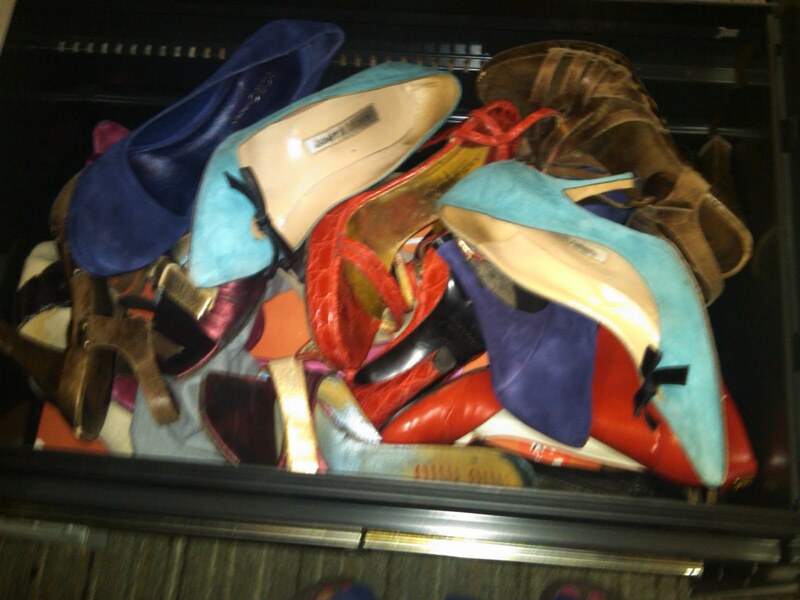 What's in your shoe drawer? Let me know in the comments! The biggest designer in my shoe collection is Nine West, haha. I don't have shoes at work because I work in scrubs and wear athletic shoes every day but I do love buying shoes. The more the merrier!